Grace EN - cornelius-kapfingers Webseite! I have a handle bar with 30mm rise, does this maybe fit, although you mention 20-25mm maximum rise? I have a XY handlebar from company YZ, does it fit to the Grace EN ? Light, durable and with a unique design. The Intend Grace EN stem is indestructible, precise and the best technical solution to combine 2 cylindric tubes to each other. 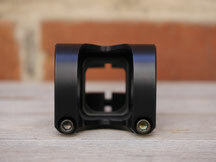 4 titanium bolts in black, rounded edges to avoid any stress at the handlebar clamp. Delivery no longer in the wooden box. This stem will come in a "Wastesuckerl" in the future! 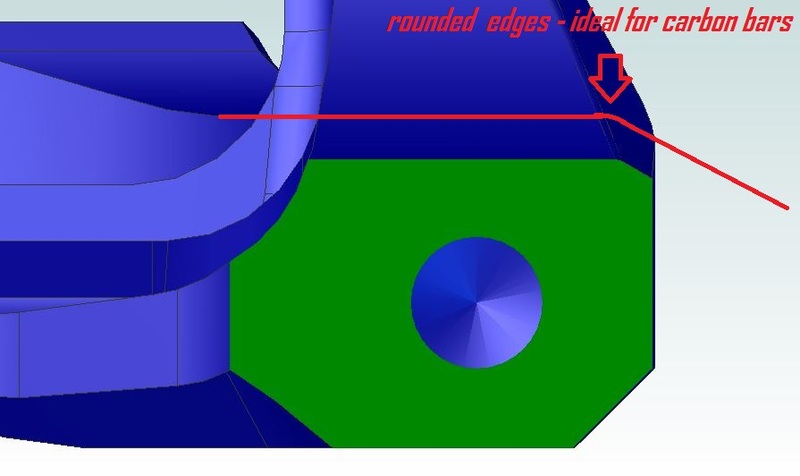 NOTE: For handlebars with a wide big outer diameter e.g. the renthal carbon handlebar or the hope carbon handlebar the assembly does only work with scratches even for rise of less than 20mm!!! Please follow the assembly instructions in the manual to avoid scratches ! You have an Intend Grace EN stem and want to let us know which handlebar fits to this stem? Just note brand, modell, diameter and rise of your handlebar! "I have a Bike-Ahead THEriser handlebar with 31,8mm diameter and 15mm rise - fits perfect!" "I have a Race Face Atlas Carbon handlebar with 31,8mm diameter and 20mm rise - fits perfect!" Beast MTB Riser 15 passt. Ohne Montageprobleme, ohne Kratzer. 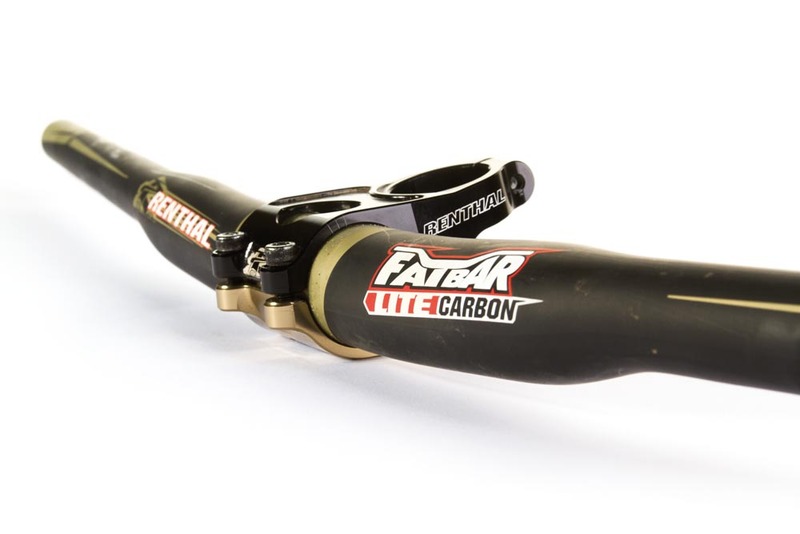 Renthal Fatbar Carbon Lite mit 30 mm Rise passt problemlos und ohne Kratzer. I have a Santa Cruz Riser Carbon handlebar with 35mm diameter and 20mm rise - fits perfect! Chromag BZA Carbon 35x800mm, 15mm rise - fits. ENVE DH 23mm rise, fits perfect, looks perfect, rides perfect, nothing better! I have a Schmolke Carbon MTB Lowriser DH handlebar with 31,8 mm diameter and 15mm rise - fits perfect! Mit Syntace Vector Carbon mit 10mm rise: passt perfekt, und ohne Kratzer! Kann ich den GRACE EN mit 5 NM Anzugmoment wohl auch an einer Gabel mit Carbonschaft montieren? Bike: Canyon Roadlite AL SL 8.0. Grace EN 31,8 with renthal fatbar light carbon740mm 30mm rise. fits..
ENVE RSR, only fits with deep scratches. Stem looks great but I would not try this again. KORE Riser OCD - 31,8 diameter and 35 rise - fits perfect! 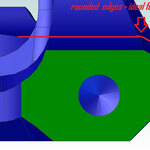 "I have a Answer ProTaper SL with 31,8mm diameter and 10mm rise - fits perfect! The reason is the 2-bolt handlebar clamp, you cannot open this wide enough for handlebars with more than 20-25mm rise. Please find the manual in "user manuals" on the top of the page. There are pics for the mounting process. Can you explain why there is a max rise 20-25 mm in the bars? Does the extra bar rise stress the stem more? Or is there an issue with clamping diameter? I have 40-mm rise (Easton Haven 35 Carbon) bars...they are pretty cylindrical in the stem area. I was wondering about the fit. I have a Race Face Next R Carbon handlebar with 35mm diameter and 20mm rise - fits perfect!